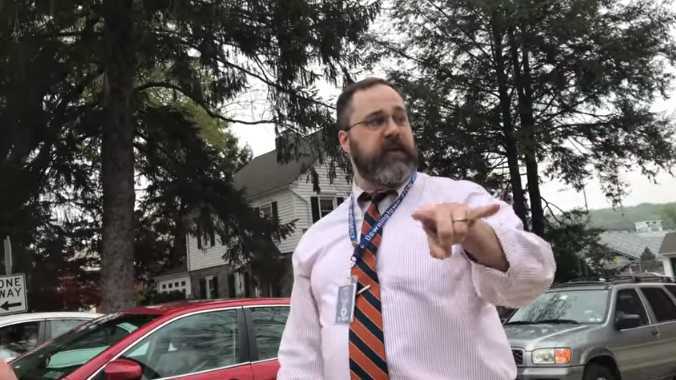 DOWNINGTOWN, Pa. (NBC 10) — An assistant principal at Downingtown STEM Academy in Chester County has been placed on administrative leave after a video surfaced of him yelling at pro-life teenagers last Friday. The argument transpired as students were leaving school for the day. Ruff appeared to be directing traffic away from the school when the incident was recorded.